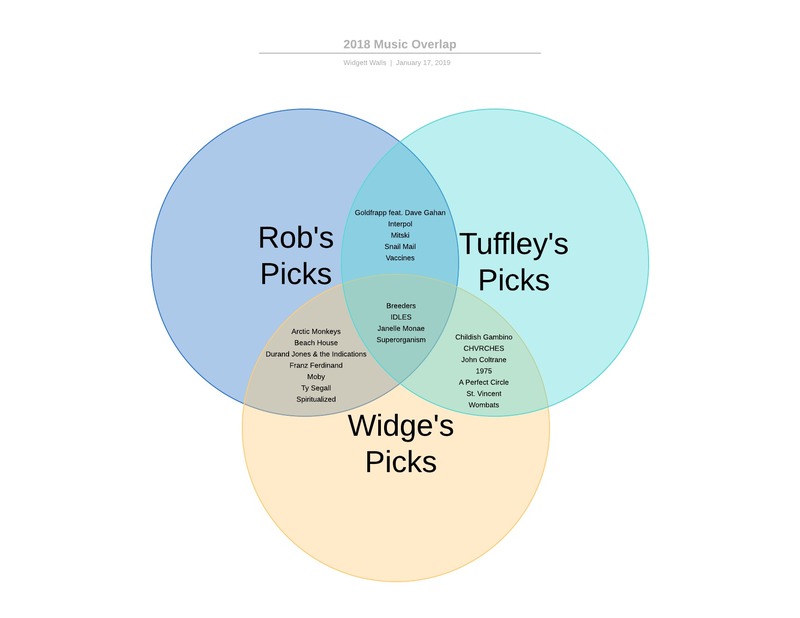 The image you see up top is a Venn diagram illustrating the overlap between our three lists. Because A) I’m a diagram geek and 2) I was bored while sitting in a doctor’s waiting room. So I probably missed one or two things. If you think the text is too small, I feel your pain: here’s the embiggened version. So here we have them. If you like music and you’re not following them on Spotify, you probably should. Tuffley’s here. Rob’s here. And if you’re really bored, I’m here. Now if you’ll excuse me, I’m already behind on listening to 2019. Have fun.